On March 6th around 7:30pm, Visual artist Mikel Elam was walking from the train station to his home when he was attacked by a gang of 30-40 youths. He was beaten and left unconcious in the street. Mikel woke up in the street with oncoming traffic covered in blood.. He spent 3 days in intensive care at Einstein hospital with multiple fractures to his face; broken jaw and bleeding on the brain. Mikel had to undergo extensive surgery resulting in astronomical hospital bills. Despite all the pain and trauma, Mikel feels so blessed and fortunate to be alive. 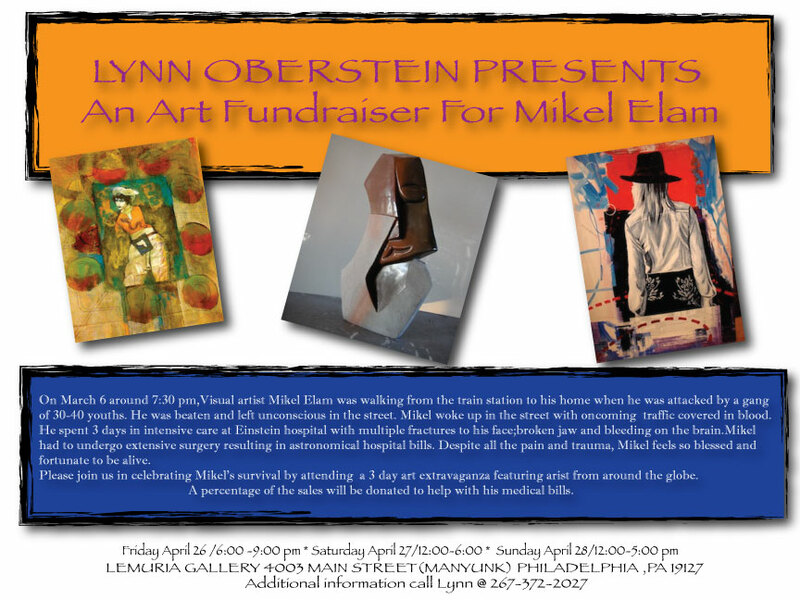 Please join us in celebrating Mikels survival by attending a 3 day art extravaganza, featuring artists from around the globe. A percentage of sales will be used to help with his medical bills.